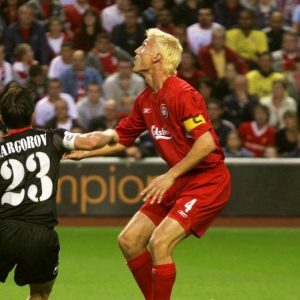 Former Liverpool captain Sami Hyypia says that he believes the title race between the Reds and Manchester City will go all the way down to the final day of the season. It is Jurgen Klopp’s troops that currently occupy top spot in the table, two points clear of the Citizens, albeit having played a game more. The Reds have only lost one game so far this season but Hyypia believes that the race for the Premier League crown could go all the way. Talking to Sky Sports News, he said: “It’s going to be an exciting end to the season. “I don’t think City are going to drop many points and we [can’t afford] to drop many points either, so I think it’s going to go until the last game. Liverpool, whilst top, have never won the Premier League. They are battling a Manchester City side gunning for back-to-back titles. Should City manage to do that, they would become the first side since Manchester United in 2009 to retain the title. The Sky Blues are favourites to taste glory at odds of 2/5 with Paddy Power. Liverpool are available at a price of 2/1.